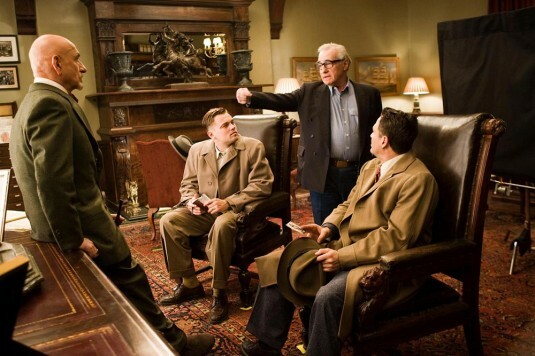 ‘Shutter Island’ Scorsese’s latest masterpiece is a film starring Leonardo DiCaprio, Mark Ruffalo, and Ben Kingsley, based on the novel by Dennis Lehane. Set on Shutter Island in Boston Harbor, 1954, the film begins with two Federal Marshals on a boat, heading to Ashecliffe Hospital to assist in finding an escaped patient. Teddy Daniels (Leonardo DiCaprio) is paired up with a new partner Chuck Aule (Mark Ruffalo) whose been sent to the department from Seattle. 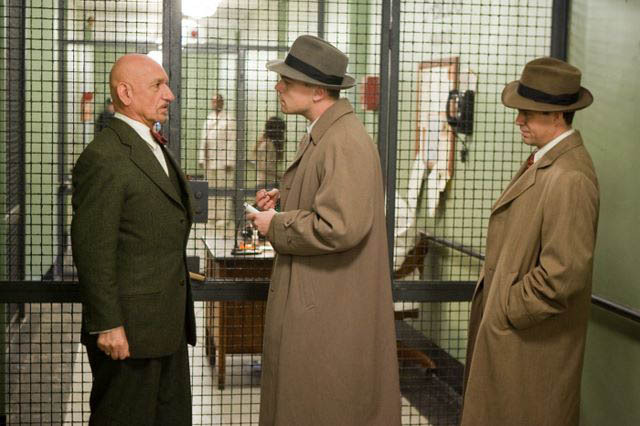 They arrive on Shutter Island just as a storm is approaching and meet with Dr. Cawley (Kinglsey) the chief administrator of Ashecliffe. Daniels immediately senses that he is being lied to, that the people their interviewing are hiding something, and that there is something terrible happening at this hospital. Throughout the film, we flashback to Daniels in the service, a soldier in WWII, as well as to dream sequences with Daniels late wife. Daniel’s character is haunted by the horror he witnessed at Dachau, a concentration camp, as well surreal scenes of Daniel’s dead wife, who died in an apartment fire. Due to what he saw at Dachau, Daniels feels that this is what is happening on Shutter Island. He’s seen what horror man is capable of, and he’s there to stop it. The mood of Shutter Island is haunting. I had an uncomfortable feeling from start to finish. It wasn’t a scary film per-say but the mood was tense, you felt an uneasy weight on your shoulders that you couldn’t shake because of what was being played out on the screen. The music (from longtime collaborator Robbie Robertson) only added to the films haunting atmosphere. Honestly, the music as Daniels and Aule arrive to the island will give me nightmares the rest of this week. As far as the acting goes, DiCaprio has become quite comfortable with his Boston accent, and nothing really stood out as overly ridiculous as is normally the case (maybe I’m biased because I’m from Boston). His performance was the best I’ve seen in all his collaborations with Scorsese. Everyone shined, from the background patients up. Mark Ruffalo continues to be one of my favorite actors to this day. He has this presence that makes him stand out in everything he pops up in. ‘Shutter Island’ was tightly crafted and extremely fine tuned, nothing felt out of place, and despite its 138 minute runtime, I never felt it drag, not once. The story was tight, the script was tight. The editing was absolutely perfect. The movie has been received with mixed feelings, critics and audiences seem to be either completely loving it, or completely hating it. I definitely feel like its going to be one of those films that will get its complete respect decades from now. Will it be remembered by Oscar season next year? I really hope so, because I really do believe it was that good.